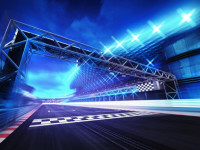 What is the best path to a modern PLM solution for automakers? This question demands more than a simple answer. The best path is a matter of optimizing what you've got in combination with the new solutions you need. The same path may not be best for all car companies. The PLM cases of Volvo Cars (VCC) and Jaguar Land Rover (JLR) are examples of two diverging paths that started from the same point (Ford's PAG, Premium Automotive Group). When they were both owned by Ford, they shared the American automakers PLM solution C3PNG (basically CATIA V5 and Siemens Teamcenter). But when Ford –as well as virtually all Western carmakers– ran into difficulties in the aftermath of the 2009 recession, JLR and VCC were both sold to growing companies in China and India. 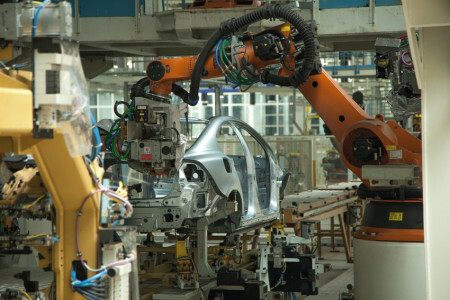 Both VCC (bought by Chinese Geely Holding) and JLR (Indian Tata Motors) are now financially and technologically successful automotive companies with modern PLM solutions. Dassaults V6 if it requires double installations". Volvo invested in Siemens PLM solution Teamcenter as a backbone, and kept CATIA V5. However, the automaker is reluctant to switch to CATIA V6 and the 3DEXPERIENCE/Enovia V6 platform. "We will not use the V6 version if it requires double PDM installations", says VCC's Andreas Westholm, IT Director – Geely Liaison. Tata's JLR on the other hand, has chosen to embrace Dassault's path and the vision laid out by CEO Bernard Charles. JLR uses both CATIA V6 and the 3DEXPERIENCE platform. 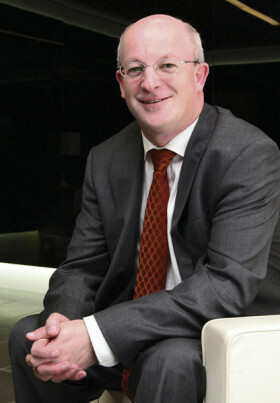 Jaguar Land Rover's purchasing director, Ian Harnett, said that the company was on its knees before it was saved by Tata, "The first years of Tata's auspices were tough, but when we introduced new models and achieved major sales success, we got a free hand." With CATIA V6 and DS 3DEXPERIENCE comes the ENOVIA V6 PLM/PDM backbone, which is mandatory if you want to work in a V6 core environment. Catia V6 and the 3DEXPERIENCE platform”. 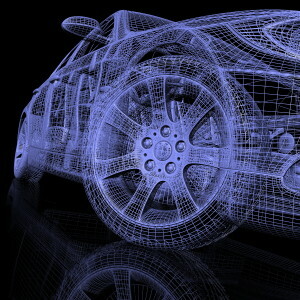 Why did Volvo and Jaguar choose different directions for their PLM future? How did they make the decision? And what are their experiences so far? ENGINEERING.com and VerkstadsForum.se (VF) took a closer look. In this first of two articles the spotlight is on Volvo Cars. Bo Nyström asked VCC's Andreas Westholm about the reasons for their choices and what their PLM roadmap looks like. 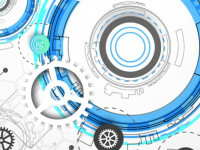 Is there such a thing as an ideal fully functional PLM system? Dassault CEO Bernard Charles often refers to a solution that is ” Beyond PLM ” to describe an IT platform that spans all aspects of product design and delivery. Technically speaking, Charles is correct. A company can build a streamlined PLM system on the Dassault the 3DEXPERIENCE platform. It has most of the components required in a seamless system, and it's available 24/7. That doesn't necessarily mean that the definition of the requirements for a PLM system is cut and dried. 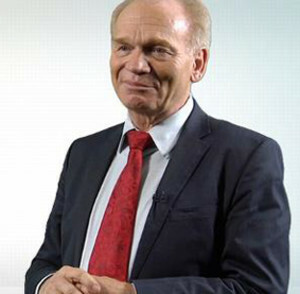 Martin Eigner, a professor at the University of Kaiserslautern, Germany (and also an advisor to PLM developer Aras), says ”the complete, fully functional PLM system does not yet exist in the material world” - and it may never achieve a flawless implementation, not even in the most advanced industries like automotive or aerospace. Which vision is right or wrong is a matter of context. Pure-play PLM environments are a rarity. Normally there's a mix between old and new systems from multiple vendors. This legacy burden is heavy. "Teamcenter plays a key role in the critical product description at the heart of Volvo's product development"
Andreas Westholm was on the Volvo team during the entire PLM journey, beginning with the first tentative start in the Torslanda factory in Gothenburg, Sweden 30 years ago. Later, he was involved in establishing the CEVT (China Europe Vehicle Technology) at Lindholmen 2013 and the Volvo headquarters in Shanghai, China. 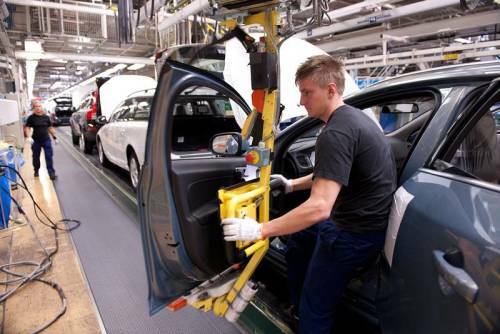 Westholm commented on Volvo's current PLM system, ”We have a global organization that works with product and production development, manufacturing and sales 24/7. In essence, we have a system architecture that is the same in China as in all other units. With this as a foundation we evolve our PLM system gradually, keeping pace with new demands and opportunities.” He added that the product description is at the heart of a company like Volvo and that Siemens Teamcenter plays a key role in managing the product description. Manufacturing in Volvo Cars Chinese Chengdu factory. 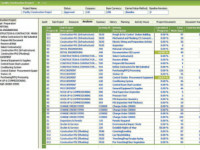 This description is based on the definition of systems, articles and variants of the KDP (Konstruktionsdata Personvagnar), the company's product data base and configurator. V5-V6 module for import of V6 items. 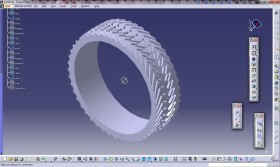 All CATIA files are managed in Teamcenter. Since Volvo does not have any plans at this time to migrate to CATIA V6, they don't need Dassault's Enovia PDM as an intermediate step in the data management. ”It is not possible to work effectively with two PDM systems”, asserts the Volvo IT-director. ”And we will not use CATIA V6 if it requires double PDM installations. However, we will bring in a new V5-V6 release that facilitates the import of V6 information”. His reasoning in this is very simular to professor Alfred Katzenbach, responsible for Daimler Mercedes' decision to swap CAD systems . 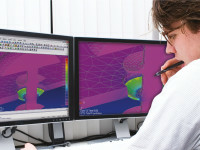 Other solutions including stand-alone CAE applications are also linked to Teamcenter. ”We collect all product descriptions in Teamcenter. Then we move them into a CAE solution from BETA Systems to drive computational jobs and reconnect the results”, Westholm said. applications are linked to Siemens PLM Teamcenter. Creating effective product development processes that can deal with the parallell tracks of mechanics, electronics, and software is of utmost importance to every car manufacturer. It is a key determinant of future technological success. One of the more interesting enhancement models for PLM is "to begin with the end in mind." For a car maker, the PLM professional would start with the finished car and then "play the tape backwards" to CAx and PDM. 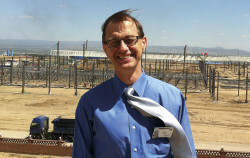 Professor Martin Eigner asserts that one of the effects of this backwards model is that more emphasis is placed on the production and final assembly. He says this approach can save big money. Giving logisticians the freedom to control changes over time so that VCC can optimize the use of materials. Providing purchasers with insights on the consistency of tool capacity and volume changes. 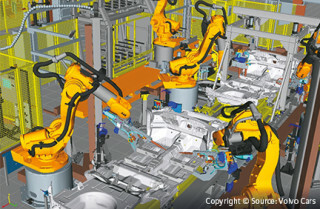 Ensuring that production simulation can be optional at different phases of product maturity. Configuring all fasteners and join units in the production structure. Allowing all analysts to work with standardized 3D data (JT) so that VCC can become completely CAD independent. Production in virtual action - robot simulation at Volvo Cars. There isn't a final destination for a PLM system. Technology development is a dynamic process that inevitably leads to changing requirements. Westholm made it clear that even 20 years later–despite of improvements–we are still talking about the need for integration and seamless solutions. In this sense, Volvo is living the prediction made by professor Eigner that, "The perfect PLM system does not and will never be built in the real world." As much as that is true, perfection isn't necessary. A federated open PLM platform ( Product Innovation Platform ) that works effectively and is modularized–where one solution can easily be switched to the other–will be competitive and well suited for the future. This is particularly true if we predict a future that is characterized by digital business, ever changing products and products-as-a-service. 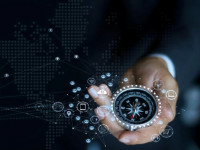 The development path for PLM is pointing in a direction where PLM would no longer be just an engineering and product realization system. Instead, it will be an end-to-end-platform that provides connections between the product, the producer and the consumer through the entire life cycle. This changing landscape of product development represents a challenge that faces all automakers, including Volvo Cars and Jaguar Land Rover. To meet these challenges, Volvo and Jaguar have chosen different paths. 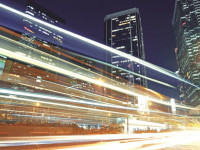 Teamcenter is well known for its openness and for Siemens' aspiration to “marry product development and manufacturing”. 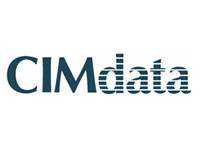 Their development approach is practical, based on industry proven solutions. 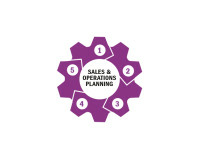 The connections to Siemens broad shopfloor IT suite will eventually end up in a cutting edge combination that supports the product realization parts of their customer's businesses. Together with Volvo's KDP (product data base and configurator) Volvo will have a strong PLM backbone that they claim will bring them to the forefront of the automotive industry. Like Daimler Mercedes, Volvo chose not to run a second PDM/PLM system (Teamcenter and Enovia V6) which was mandatory for those who wanted to use CATIA V6. Instead they stuck with CATIA V5, supplemented with a V5-V6 module that allows them to import V6 items. A noteworthy decision in both these cases is the data structure. Dassault's V6 product data base approach is different than Siemens PLM's traditional file-based data model. Most big OEM work in file-based environments. If they want to switch to the V6 approach, they would have to change the processes. Change is always an obstacle in organizations when production is running well. Volvo appears to be taking measured steps along their PLM path. As in every big organization with thousands of engineers and designers, harmonization is a priority. Volvo is playing the safer cards, betting on proven, practical solutions, with some elelments from the leading edge where the stakes are highest, such as in Systems Engineering. In a future article we will take a look at Jaguar Land Rover and their 3DEXPERIENCE venture. Dassault touts JLR's implementation as a prime example of what can be done with the V6 environment.